Local search engine optimization is a branch of SEO that focuses on optimizing a website to be found in local search results. 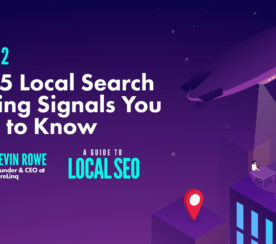 Basically, local SEO is a strategic process that focuses on emphasizing the optimization efforts of local brick-and-mortar businesses. Content, on-page optimizations, and link building all with a focused, localized intent are part of these efforts. The focus changes, however, when it comes to localizing link acquisition. The focus changes to making sure all potential local signals across Google’s local search landscape are consistent and correct. If they are not, or you accidentally provide different information for the same business, you could potentially experience situations where your local results display something different than what was intended. 34 percent who did their search on a computer or tablet did the same. 60 percent of American adults conduct searches for local services or product information on tablets and smartphones. 50 percent of searchers on their mobile phones who conduct local searches are looking for things like a local business address. 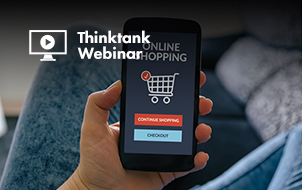 78 percent of local-based searches on a mobile device end in purchases being made offline. 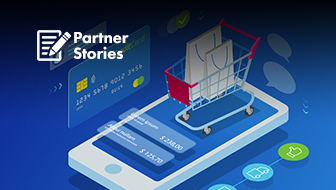 71 percent of people who have been surveyed have said they search for the location of a business in order to confirm its existence before going there for a first-time visit. 1 in 3 searches on a smartphone was conducted just before arriving at a store. 97 percent of consumers looked online for local businesses in 2017, with 12 percent looking for a local business online every day. 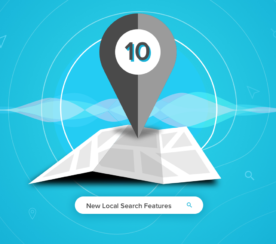 Who Benefits from Local SEO & Why? If you’ve never done SEO for lawyers, here’s a little secret: one of the biggest benefits of local SEO for these clients is that Google shows a call button directly in the local search results on mobile phones. So when a potential client pulls out their phone and does a search for “[type of] attorney,” they will see targeted results for their particular location. When done right, local SEO will push the attorney to the top of the search results for that location, and the dominant call to action will be the “call us” button. The reason why this is such a huge benefit is that anyone who has been in an accident or has another issue will be on the phone attempting to find attorneys who offer free consultations. This one avenue offers a way to get in front of those consumers exactly when they need an attorney. When someone is searching for a doctor, in my experience it has been that someone is always searching for a doctor nearby or a doctor “near me”. Most people don’t want to go out of their way or travel several hours to visit a doctor. They want a nearby doctor who can see them on a regular basis. If you reference the screenshot below, using the search “doctors near me”, there are several benefits of this large local pack result. 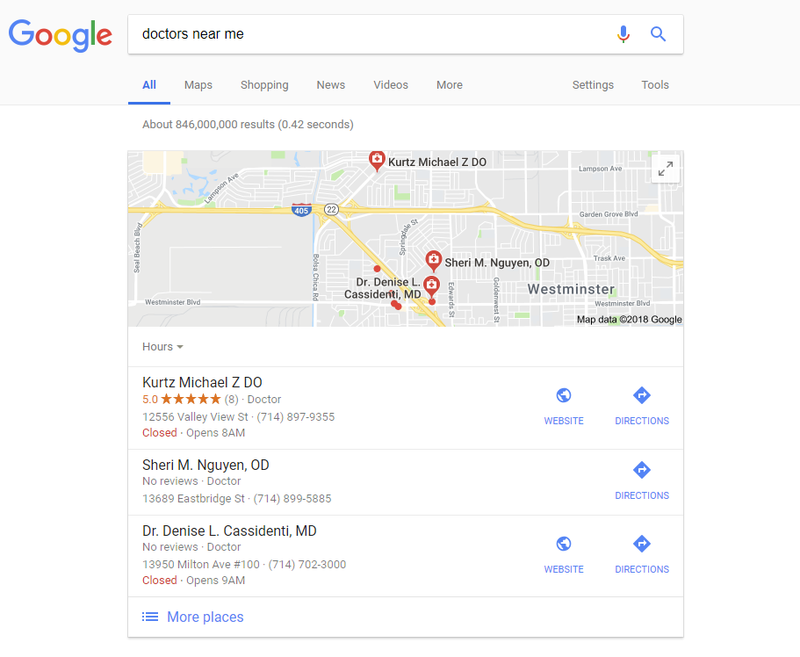 This local result provides the doctor’s name up front, along with an instant “directions link” which brings up a map application on a user’s phone. When it comes to doctors, people are more comfortable calling to set an appointment, and they are most likely looking for an easy way to look up directions to the doctor’s offices. One of the next businesses to benefit from local SEO are plumbers. Think about it: when someone has an emergency involving plumbing, are they going directly to the store? No, they usually go to Google to search for [plumber near me]. The Google search results provide an easy way for someone to call a plumber directly, read reviews, and access local plumbers immediately if they have such an emergency. These businesses achieve the most benefit from local SEO because of the immediacy of customer reviews and local address information prevalent in the search engine results pages (SERPs). This immediacy of information leads potential customers to restaurant businesses in the least amount of time. In addition, it allows people to see, quite efficiently, the restaurants providing the best quality food and service in the neighborhood. While as SEO professionals we would love to see everyone benefit from local SEO and sell these services to more clients, the reality is that some businesses just don’t lend themselves well to local SEO efforts. Businesses like online only ecommerce shops, local authors, businesses that don’t want to share their local information, and private online sellers who want to keep their information private are likely not great candidates for local SEO services. When it comes to local SEO, it isn’t all that different from organic SEO – keyword research, content, links, and on-page technical SEO. It just has a local focus. These elements are important to get right for your website and its industry overall in order to outperform the competition in the SERPs. 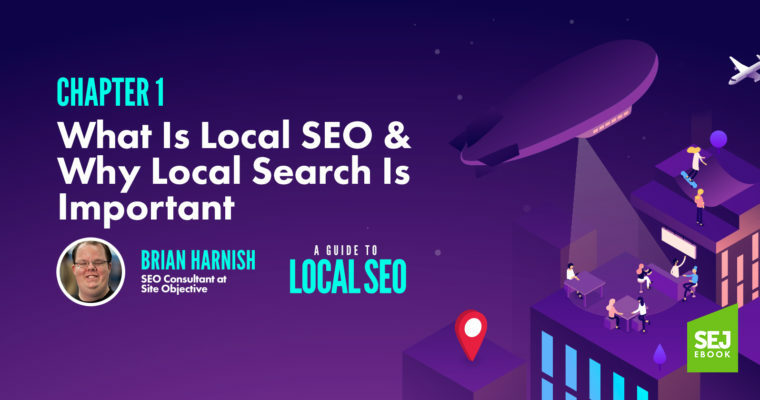 When optimizing for local search, however, these parts contain more of a local focus that focuses on searches people are performing in the immediate area surrounding the business (e.g., local city names). Keyword research for local SEO has not changed all that much, although some aspects are a little bit different. Now, statistics show that people have more access to devices like smartphones, Amazon Echo, and Google Home. These devices pave the way for voice search to be one of the primary avenues of executing local searches. It’s easier to say “find a doctor near me” or “find a plumber near me” for most people than it is to type. Thus, it isn’t surprising to see a rise in local queries based on conversational voice search. If your industry is service-oriented, try out keyword variations that include questions. SEMrush’s topic research tool, Keyword.io, and AnswerThePublic all provide ways to see questions people are searching for, along with their search volume. This is an excellent way to target keywords that have local intent. If your industry is a local brick-and-mortar, service-related business, like a restaurant or an attorney or lawyer, try keyword variations that have a conversational tone and focus. You may be surprised by the search volume you can achieve when you do keyword research in this way. Content with a local focus has a significant importance on local SEO efforts. Depending on your industry, content with local focus, depth, breadth, and knowledge tends to do well. However, just writing long-form content won’t necessarily always produce the best results. It all depends on the nature of the results of your query, and whether this content fits the user intent behind the query the best. It’s not about whether it has the highest word count for the query. Writing custom local content with all of these factors will help you achieve the quality content Google wants to return for certain local results. What should you not do when it comes to content? Wikipedia-type content is the worst type of content you could write. You know the kind. The kind that quotes National Highway Traffic Safety Administration (NHTSA) or city guides data that is available everywhere on Wikipedia. The reason why this is the worst type of content is that not only is the content usually thin, the value that it brings and the value of the research put into the content is usually just as thin. Thin content adds little value to your SEO efforts. For local SEO, links are a little bit different than organic SEO. First, you must consider Google’s Webmaster Guidelines when acquiring all links. You don’t want your link acquisition efforts to result in a manual action (i.e., penalty) from Google. If you build links that violate any of Google’s Webmaster Guidelines, Google will eventually detect them. The next thing you know, your entire website could disappear from the organic search results. Local chamber of commerce sites. These sites are where you submit your money site to in order to increase its local search presence. These citation sites are usually NAP-focused. What does NAP mean? It means the name, address, and phone number of your business that you wish to appear on these sites. The function of these citation sites is to increase your citation / NAP presence on Google. Next, it is recommended that you focus on local directories as the general link categories. Building out these local directories will help you increase your website’s link authority for local searches. These industry-related local sites will usually help increase the value of your local link profile significantly, and will usually help add the authority and uniqueness that Google rewards. These sites are usually local partners of the business. Google forbids excessive link exchanges, but enlisting the aid of your business partners locally to achieve links isn’t a bad thing. You just don’t want to do link exchanges excessively in a scheme to manipulate page rank. It can be challenging to figure out what counts as excessive, but it is possible to achieve through the right testing. Since its earliest days, Google has regularly updated its algorithms. 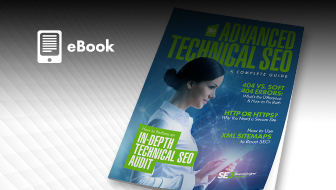 In 2007, there was a massive update to Google’s overall algorithm – not just local. The reason why this is being included here is because of its significant impact on local SEO. It wasn’t a typical algorithm update. Instead, Google took the standard search results and combined them all with things like video, local, images, news, as well as other verticals. This change completely and utterly changed the SEO landscape forever, and the old undynamic 10-listing SERP was officially dead. While places pages were released and pushed out in the month of September 2009, they had originally been a part of Google Maps. 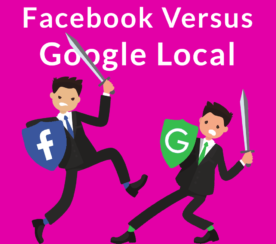 This launch rebranded the Google Local Business Center, consolidated the places pages with local SERPs, and added local advertising options, among many other features. This particular update was rolled out as part of their monthly update. You may have noticed if you search your phone for certain local things, or your computer, that Google has automatic, targeted local items. We can thank the Venice update for this. The main purpose of this update was to tighten up and implement more aggressive localization in local search data that was ultimately displayed to the consumer. Ranking for results like local search results, by focusing on the ranking of sites by using their main SERPs as a local signal. This was a group of updates containing approximately 65 updates that were rolled out throughout August through September. These included more condensed, 7-item SERPs, changes to how local results were assessed for the searcher, updates to “page quality,” and knowledge graph expansion. 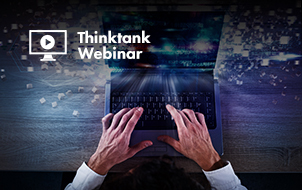 More interesting local-based changes included things like universal search’s traffic map for traffic-based queries, as well as user-intent based changes meant to show better results that are based on a user’s intent behind their search query. While this particular update was announced September 26, it was actually released about a month earlier. Many have compared the Hummingbird update to Google’s Caffeine algorithm update from 2010 due to its speed and preciseness being improved. Hummingbird was basically a core algorithm update that was meant to power changes to things like the knowledge graph, as well as semantic search for a long time to come. Hummingbird was designed to augment conversational search with improvements, which Google mentioned as an example of what it was designed to improve. Google’s best explanation was that it was supposed to improve focus on the actual meaning and intent behind words used when searching. The Pigeon update was a major shakeup in the local SEO world. This algorithm change was focused on providing more useful, relevant, and accurate local search results. These new local results changes were visible within the Google Maps results as well as Google web search. Google’s core changes were behind the scenes and it impacted local search results significantly. Google said it improved the algorithm to include better ranking parameters specifically targeting distance and location. This particular expansion of the Pigeon algorithm rolled out to the United Kingdom, Canada, and Australia. This is the first documented update of Pigeon being implemented as a global change to Google’s algorithm across all of their search properties in all of their locations. Google never confirmed this particular update. But, at the time there was a major shake-up in local SERP results, suggesting a major update occurred. There is no direct confirmation of this either, but there is data that seems to suggest that this particular update had also applied to organic results. Current statistics, data, and trends suggest that local SEO is headed toward a paradigm shift in significantly improved context and understanding. The proliferation of devices, like smartphones, Amazon Echo and Google Home, suggest a trend towards the creation of devices that have more conversation-like approaches that equal or exceed human understanding. It could even be suggested that these devices implement higher-quality, faster, and overall improved algorithms to serve enhanced voice search results to the user. Google is always adjusting and updating its algorithms. It remains to be seen what will happen, but hopefully it will help improve all search results.